Ottobock’s latest business unit, Ottobock Industrials, is set to help people protect their long-term health as they carry out demanding daily working routines with pioneering technical solutions. The unit hopes to meet demands in industrial environments where the company says there is a lack of skilled specialists and an ageing workforce. One of the first product areas for Ottobock Industrials are exoskeletons for overhead and above shoulder level work. Exoskeletons are orthotic assistance systems which are worn on the body and support employees during demanding activities in production or trade such as overhead assembly. Using exoskeletons reduces physical strain and protects the musculoskeletal system. The innovative solution called Paexo is currently being tested with 30 employees in series production at VW. 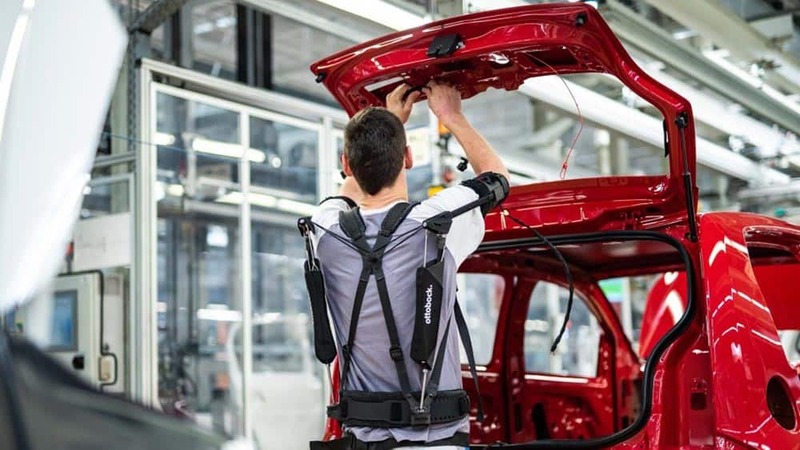 According to VW, it is the largest long-term pilot test of exoskeletons in Europe. “In future, we want to make workstations in the industrial, logistics and craft sectors more ergonomic and thereby improve the often-challenging working conditions found there. We believe that this is an up-and-coming sector that offers a great deal of potential for groundbreaking innovations,” said Dr Sönke Rössing, CEO of Ottobock Industrials. Ottobock is a global manufacturer and supplier of prosthetic limbs, orthotic supports and wheelchairs with a mission to provide independence to people.